When Ken Kenia approached us about ‘cleaning up his website’, the first thing we asked was “Do you have any analytics installed on the site?”. His answer was “No”. We setup a Google Analytics account for him. We found FTP access to his website files so we could implement the script on every page and take a look at what was happening. After a few weeks of tracking, we noticed some nice organic results. 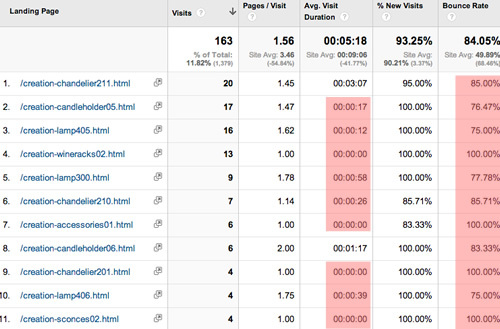 But we also some very low pageview times and high bounce rates. 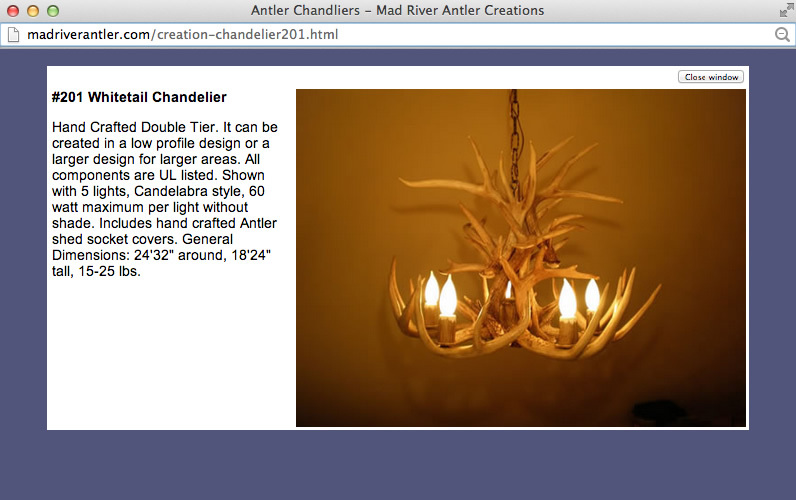 Specifically, many of his product detail pages had very low view times. Couple that with a very high entrance rate (people were searching for Antler products on search engines and his sub page details were coming up), and we knew we had to dig deeper. Doing a few tests in search engines, it was pretty clear that the dated website design with simple pop up windows was doing its job getting the pages indexed, but the user experince (UX) was broken. 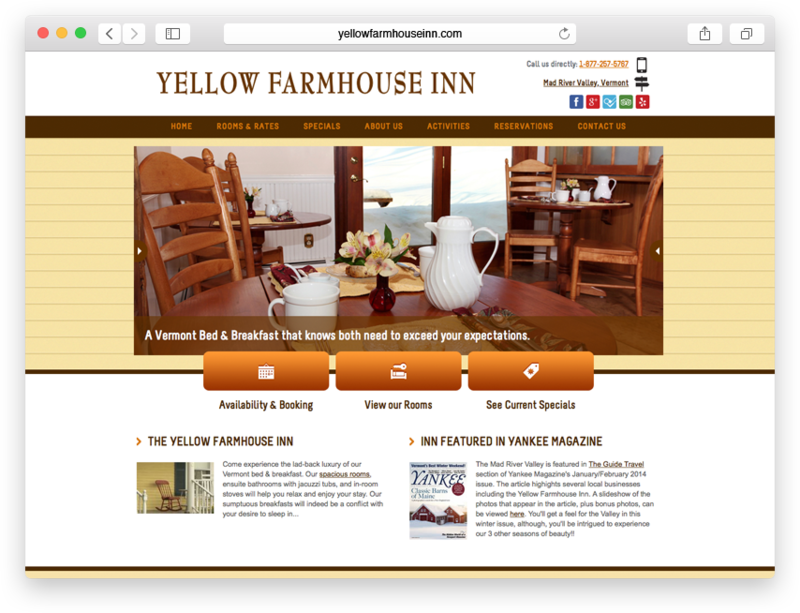 The visitor was finding very pertinent search results, clicking on the page, then landing on one of the pop-up pages. 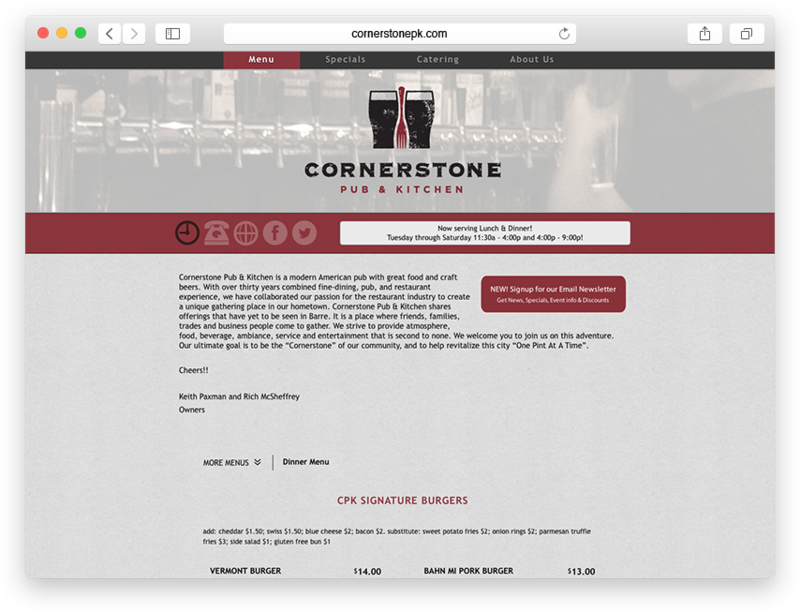 These pages had no navigation, logo or ways of moving into other parts of the site. The visitor read 10 seconds of content, then left. Ken also needed a way to easily edit content, and his 7+ year old site did not have a content management system. He wanted to start posting his art work as he created it and give his visitors a better way to communicate with him and even buy products online. We recommended Ken purchase a pre-designed website theme and let us implement a custom WordPress setup on a Rackspace Cloud Site setup. After a few days of hunting through themes, gathering photo and content assets and planning out a sitemap, we started building his demo site and training him on the various aspects of editing content. 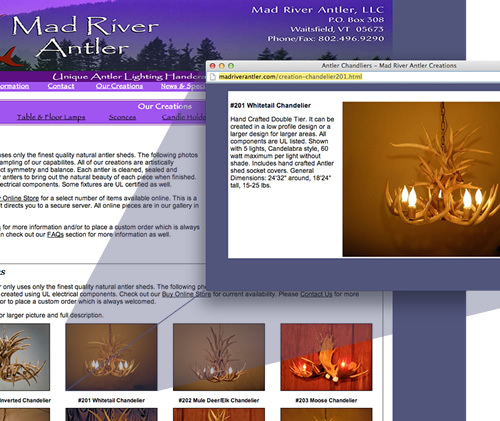 The new site has a cleaner feel, is easier to navigate and has larger imagery that demonstrates his products. 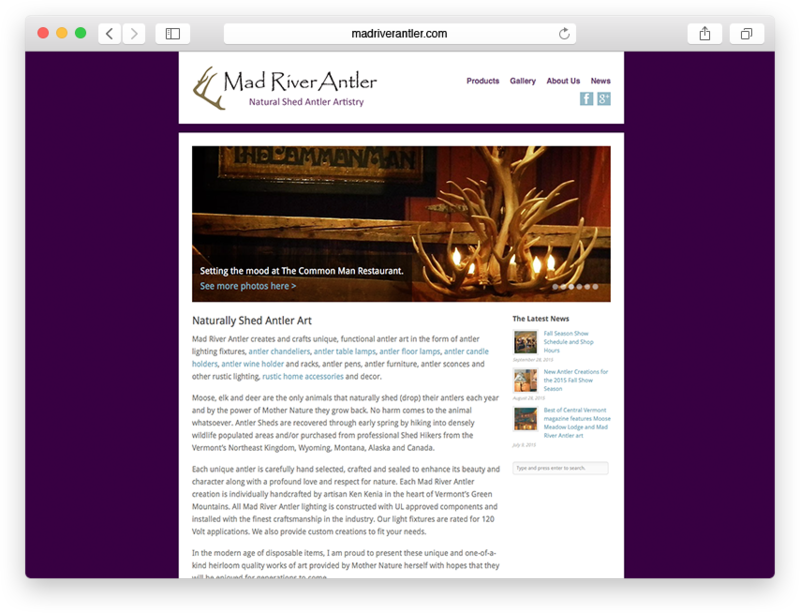 We setup custom redirects for all the old, less-productive pages. Google Analytics is setup to track usage, various event objects throughout the site, online purchases and has multiple goals to help us improve over time. On July 16, 2013, we soft-launched the site. We purposely didn’t want to tell anyone so that we would have a few days worth of untainted data to compare the old site to the new one. In a few days, we’ll take a look at the numbers and decide where to go from here. 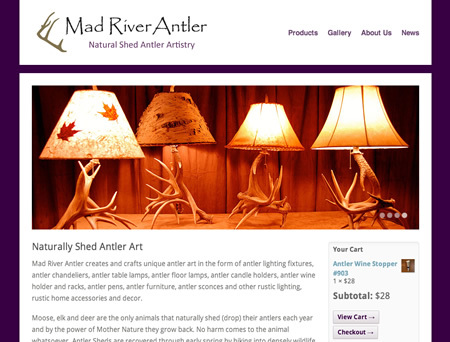 If you are interested in some high-quality, naturally-shed antler lamps, chandeliers, sconces and other stuff – look no further. Ken‘s your guy.